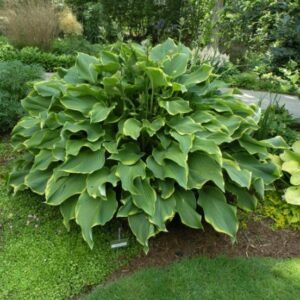 Large: 20″ high by 42″ wide mound of medium gold foliage; leaves 9 1/2″ long by 8″ wide (10-11 vp); leaves also broadly oblong-ovate in shape, moderately corrugated; good subtance. 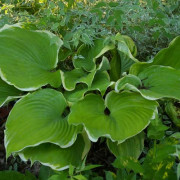 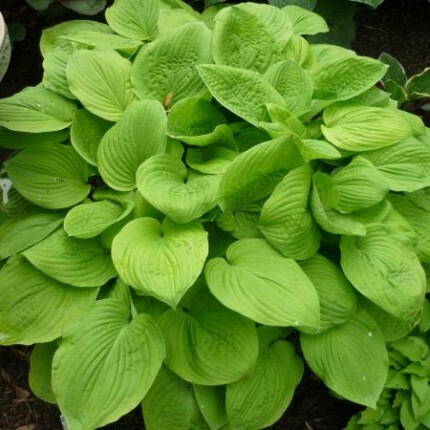 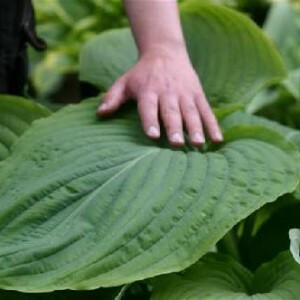 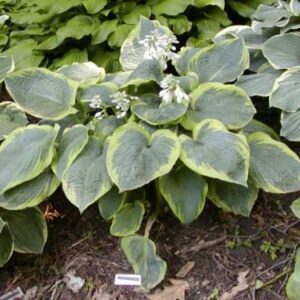 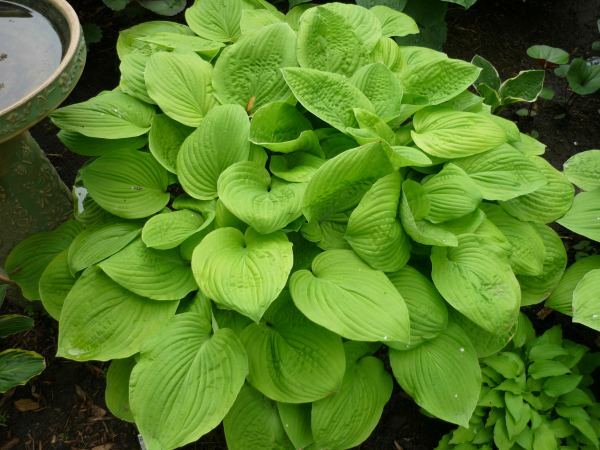 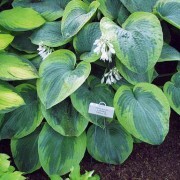 August Moon’ Hosta – This medium large hosta will quickly form an impressive gold mound. 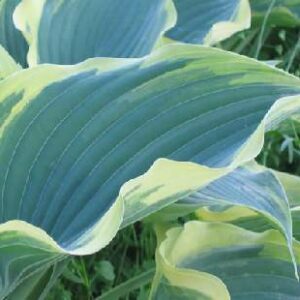 Give it bright light for it’s best coloring. 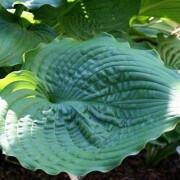 The leaves are rounded, heavily corrugated, slightly wavy and of great substance. 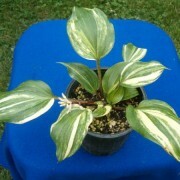 Has beautiful near white flowers that bloom July/August.